WASHINGTON (June 22, 2017) –- (RealEstateRama) — Existing-home sales rebounded in May following a notable decline in April, and low inventory levels helped propel the median sales price to a new high while pushing down the median days a home is on the market to a new low, according to the National Association of Realtors®. All major regions except for the Midwest saw an increase in sales last month. Total existing-home sales1, https://www.nar.realtor/topics/existing-home-sales, which are completed transactions that include single-family homes, townhomes, condominiums and co-ops, climbed 1.1 percent to a seasonally adjusted annual rate of 5.62 million in May from a downwardly revised 5.56 million in April. 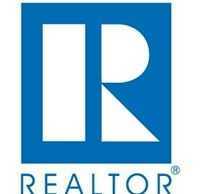 Last month’s sales pace is 2.7 percent above a year ago and is the third highest over the past year. The median existing-home price2 for all housing types in May was $252,800. This surpasses last June ($247,600) as the new peak median sales price, is up 5.8 percent from May 2016 ($238,900) and marks the 63rd straight month of year-over-year gains. Total housing inventory3 at the end of May rose 2.1 percent to 1.96 million existing homes available for sale, but is still 8.4 percent lower than a year ago (2.14 million) and has fallen year-over-year for 24 consecutive months. Unsold inventory is at a 4.2-month supply at the current sales pace, which is down from 4.7 months a year ago. Earlier this month, NAR hosted the Sustainable Homeownership Conference at University of California’s Memorial Stadium in Berkeley. A white paper titled, “Hurdles to Homeownership: Understanding the Barriers,”(link is external) was released, which honed in on the five main reasons why first-time buyers are failing to make up a greater share of the market. NOTE: NAR’s Pending Home Sales Index for May is scheduled for release on June 28, and Existing-Home Sales for June will be released July 24; release times are 10:00 a.m. ET.